The Hotel by Gold Dust features beautifully remodeled rooms that showcase artwork by renowned pin-up David Uhl. 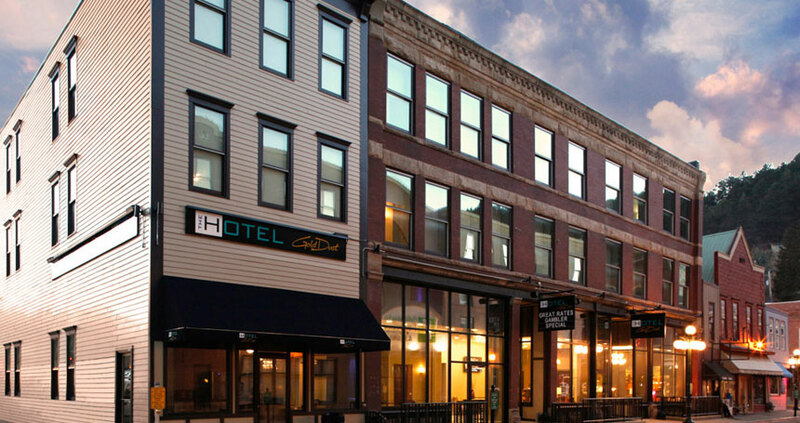 Located by Historic Main Street, the Hotel is within walking distance of local hotspots and shops. Stay at The Hotel and receive gaming rewards at the Gold Dust Casino. Ask our front desk about our Gambler’s Getaway Package and get $10 in free play and $20 to the award-winning Mavericks Steak and Cocktails.